Performance review guide is a tool used to review the yearly performance of an employee based on the objectives assigned to him/her. Each employee also looks forward to this review which is being conducted to evaluate how they have performed against the targeted assignments. It is an opportunity for demonstrating their accomplishments and see their value in the face of the organizations. In this economic trends, it’s an important tool for assessment. If properly used, will help an employee to get a pay rise or a promotion that will guide in professional development and give job security. It will also guide in creating new objectives for the year ahead. What is Required for Writing a Performance Review? Foremost task is to know what the job description is assigned for the employee. In case the job description is not assigned, then have a chat with the employee to know about his daily tasks and how he goes about doing the work. Then check up with Human resources and you would be able to come up with specific job description closely related with it. For example- tea boys, cleaners, sweepers, etc. 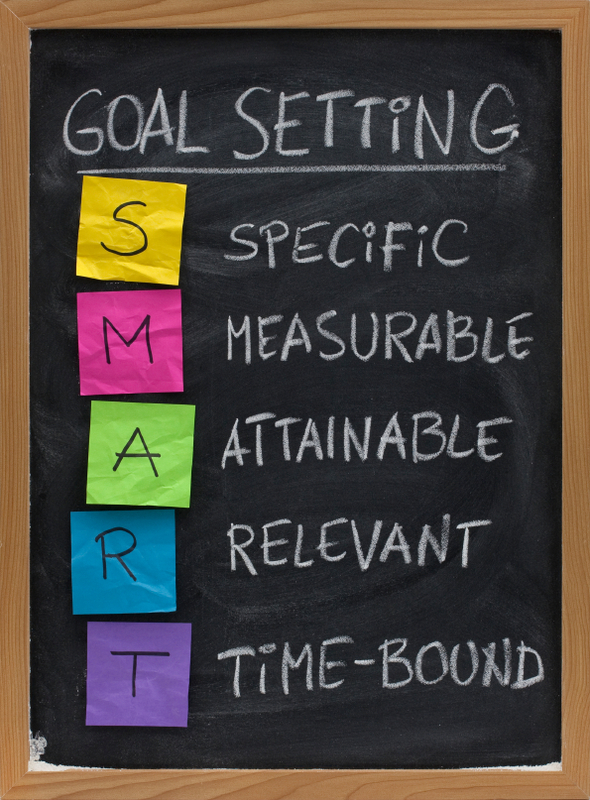 Set goals that are meaningful and ‘SMART’ meaning Specific, Measurable, Acceptable, Relevant, Time-bound. Write the goals that are relevant for the job being done and make them meaningful. These goals must be mutually agreed between the person doing the job and the immediate supervisor or manager. Write the goals and objectives in alignment with the mission of the company. They need to be based on the current trend and updated appropriately. These objectives need to be in such a way that the contributions can be tracked easily. Though it could be work-based objectives, it could also provide personal growth and development. Include points that require additional training for executing the job. It could be considered like mission of the year. There could be metrics or weekly reports to know about performances based on the objectives assigned. This could be given to the employee to keep records of his/her own work. By this the employee himself/herself would be assessing themselves and making records of their contributions that would be counter checked by their supervisors. Making documents of your work done is an essential format that will help at the end of the year. 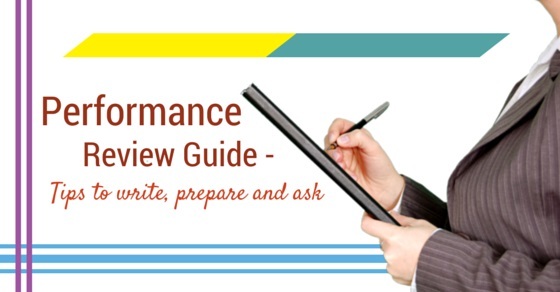 Performance Review Guide – How To Prepare and Write? Now that you have a document of the job description the objectives for the year, it becomes easier to prepare for the review. Verify if the objectives are in alignment with the mission of the company. If not then ask for getting it corrected and then make the review points. This is critical factor for making reviews as otherwise there is no way the employee will be considered for pay hike if required. The review needs to be phrased in terms of ‘SMART’ objectives. SMART objectives are required to be given in quantifiable terms. Example: 99% accuracy, 90% on time, 75% calls, etc. It calls for actions being done. The review points must be clearly written so as to be clear on what is to be asked. It is to merely ask what the employee has done based on the objectives given. Use positive notes in the reviews. This is very important while making reviews or else the person would not be getting any proper marks. There should be provision for employees to be able to give their feedback. This is also a critical feature in a review where the employee would be having an opportunity to give their feedback. It will help in making changes to the objectives and sometimes could improve the work environment as well. The review of the employees work would have to indicate the quality of the work done. The quality of work done will have to be assessed in the way it was accomplished. You could check out at the other sections or departments about the employee’s response and get a feedback from them. This is like 360 degree feedback on all round performance. It’s to see if they perform well as team player. You would be knowing about the negative points about the person and could include in your review. But it should not have any relation with their personal lives. For example: It could range from them dealing with customers with angry note or replying rudely to co-workers or not using appropriate languages in the email. An employee will not be perfectly fitting all the job characteristics that has been given. Of course, he/she would be weak in one area or the other. There needs to be provision for highlighting the weak areas for them to make improvements. Make note of this while writing down. Create a provision for seeking evidence of the tasks completed or how it was done. Write points on how to get the proof on how work was executed and means of completion. How To Ask after Writing Performance Review? It is advisable to avoid criticism while asking or reviewing an employee. If you don’t like the person personally it should not be taken as chance to show your criticism. After all it’s a matter of showing the organization about the individual’s performance against the goals set. By starting off with positive feedback about the employee you would build strong relationships with them and he/she would be able to give you correct information about the requirements for the future. 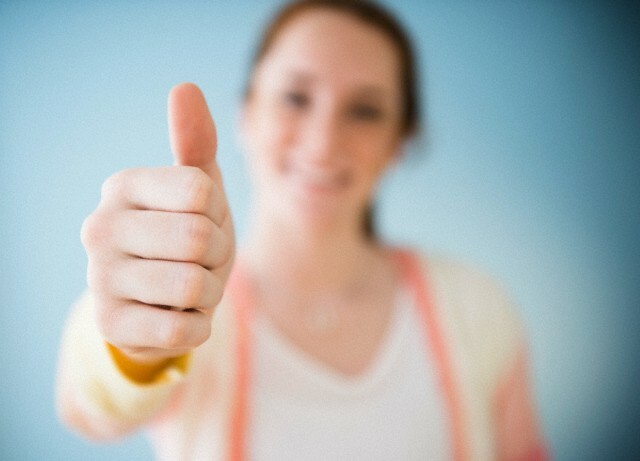 Positive talks will only enhance the confidence he/she will have on you since they will believe that you would give honest and correct feedback. Sometimes it should not be like a question answer session with only “yes” or “no”. It has to be started off with a feeling that it is conducted just to assess their performance and indicate the weak areas and areas for involvement. Reviews are not only to see how the employee has performed for the year or how the project has been done but also it shows simple ways the employee can make improvements in specific areas. It’s not that easy to tell but it is a useful criteria in all reviews. As reviews are like progress reports, it is necessary for employers to highlight the employee’s weak areas so that they would make efforts to improve upon them. Or else it will not help them to grow in the organization where skills are needed. As reviews are always considered to be two way interaction, it is best to highlight the positive feedback about the employee. The interaction of the employee with other sections and departments could be obtained and shared with the employee. It helps to boost the morale and build self-confidence. The customer service department and the sales department are happy that you are able to make the shipment on the products on time after the request is placed”. Reviews are not to be held via telephone or emails. 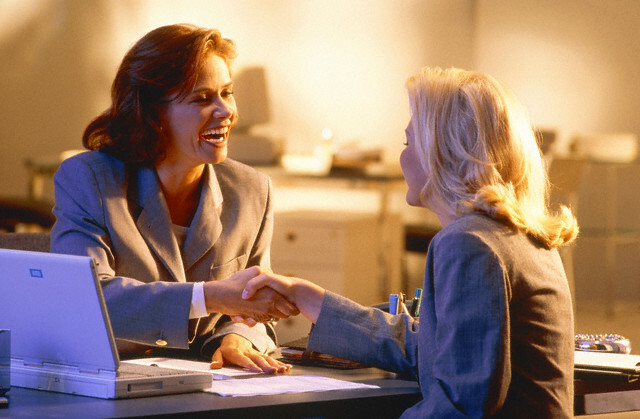 It is best to have a face to face interaction or slot a specific time for this session. 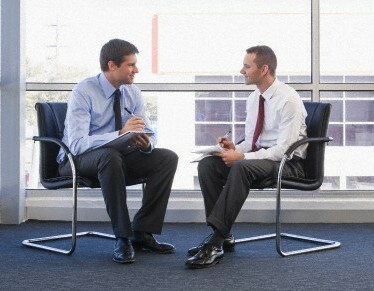 The body language will help to assess the employee’s eagerness and their enthusiasm. Moreover, it will allow for clearing misunderstandings that may exist and help to sort them out. Normally it is always better to appreciate employees about the work they have done and this small patin the back is essential. Hence, it is required to put words of appreciation for the work they have done for the progress of the company. The reviews mostly concentrates on progress of individuals rather the other way round. Hence, it is usually better to declare the opportunity that lies ahead of the employees after giving their review. “The quality control department is on the verge of expansion and will need senior quality controllers like you to take a lead of the new team that will be taken up”. When you think of performances of employees, the next step that everyone thinks or wants is the advancement. So what are the steps to advancement can be told during this session. It’s one way for informing the employee of methods or path towards advancement. “There is training session that will be conducted by the corporate for learning the SPC and I would like to nominate you for this training. Please make use of this opportunity”. When it comes to reviewing the objectives, there are times when the employee would not be in terms with the comments you would have given. In that case don’t be stubborn about the points. Discuss with employee on the terms and let them know what your opinion is. While discussion with employees some points may not be in favour to them. They will then put forth their view. Listen to their views and make a compromise. Don’t let it flow into arguments. Arguments are will only close the mind or thoughts to flow and there will not be positivity around. It will only create bitterness. Sometimes reviews can be conducted with light topics to be shared so that the employee will consider you to be like a friend to confide on. Being a little humorous here and there will help to lighten the moods and make the employee comfortable with the whole process and will give you outright response. Discussing with the employee on the review will lead to future roles that are existing or new ones that will arise. By doing so there will be better quality of work executed which will help the department as a whole. The employee will work towards the future plans that employer has shared with them. In turn the productivity gets enhanced. Taking care of employees is an important criteria to help the organization to progress. This is enhanced only by developing the skill set of employees. You may find the employee may be good in cleaning and arranging the area of work. Then he/she could be taught the basics of 5S and made a person in charge for his department. This will help to be enthusiastic towards work. Reviews mostly bring out the intentions of the employer to employees. In case the employee is found to be a little awkward towards the other members, then you could highlight them. Don’t beat round the bush when you want to say anything about their strengths or weakness. Speaking directly will show your genuineness and interest to the job being done by the employee. Being honest in approach is the right touch to the process of review. When a task was done wonderfully without flaws and errors then commemorate the employee on the assignment done. Keep a reminder on the task done and tell them that it was done well. Every performance will end with goals already done or completed. It will also give rise to new set of goals which needs to be discussed with the employees before it is done. The objectives for the New Year can be set along with the employees. Once the employee finds that you have listening or open mind, the employee will be ready to share their ideas or change to a process. 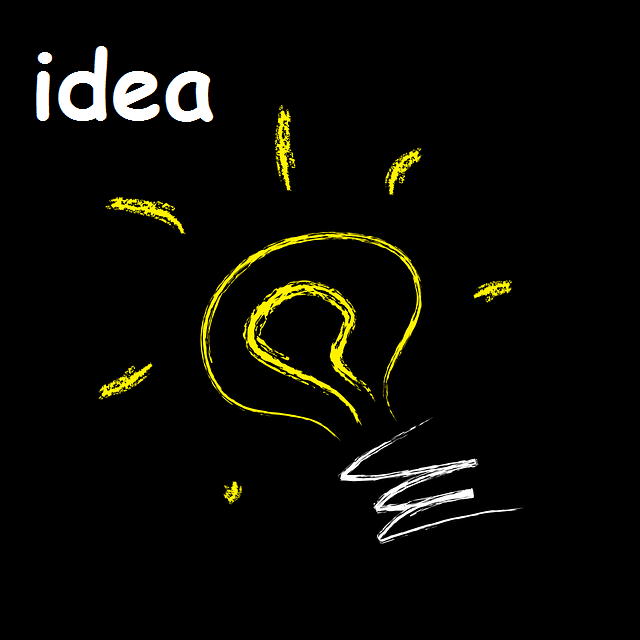 This change in process or idea can be recommended as new objective or goal for the next assignment or year ahead. Finally, all will lead to the progress of the company. Having a thorough understanding of the topics discussed above it is imperative to make adjustment to your views about the whole process of performance review. It cannot be considered as just a paper formality but an opportunity for both the parties to find solutions to problems and also create new ideas for the advancement of the organisations. This is essential in today’s fast paced world where competition is the buzz.